The Hamilton 4 + 2 Drawer Chest is the ideal chest of drawers for the bedroom. The chest is finished in a modern oak finish, with stunning brushed steel handles that are curved for ease of access. The Hamilton 4 + 2 Drawer Chest provides plenty of storage space for your clothing and other bedroom essentials. Use the top of the Hamilton 4 + 2 Drawer Chest to display your favourite photos or other trinkets. This is a highly practical piece of bedroom furniture! Only high-quality materials have been used in the construction of the Hamilton 4 + 2 Drawer Chest. The strong and sturdy frame is given a designer touch with the addition of the Sonoma oak effect. The 2 smaller drawers each have a single brushed steel handle and the 4 larger drawers have 2 brushed steel handles each. The handles are curved, allowing for ease of access. The Hamilton 4 + 2 Drawer Chest is a versatile piece of furniture that works in single, double and king-sized bedrooms. The top layer of drawers has 2 smaller drawers, ideal for intimates or to use for makeup and other bedroom essentials. The larger 4 drawers are of generous sizing, perfect for storing your folded clothing, sheets or any other belongings. The Hamilton Bedroom Furniture Range all has the same Sonoma oak finish and the curved brush steel handles. The design is timeless, meaning the Hamilton 4 + 2 Drawer Chest will work in traditional and modern homes and bedrooms. 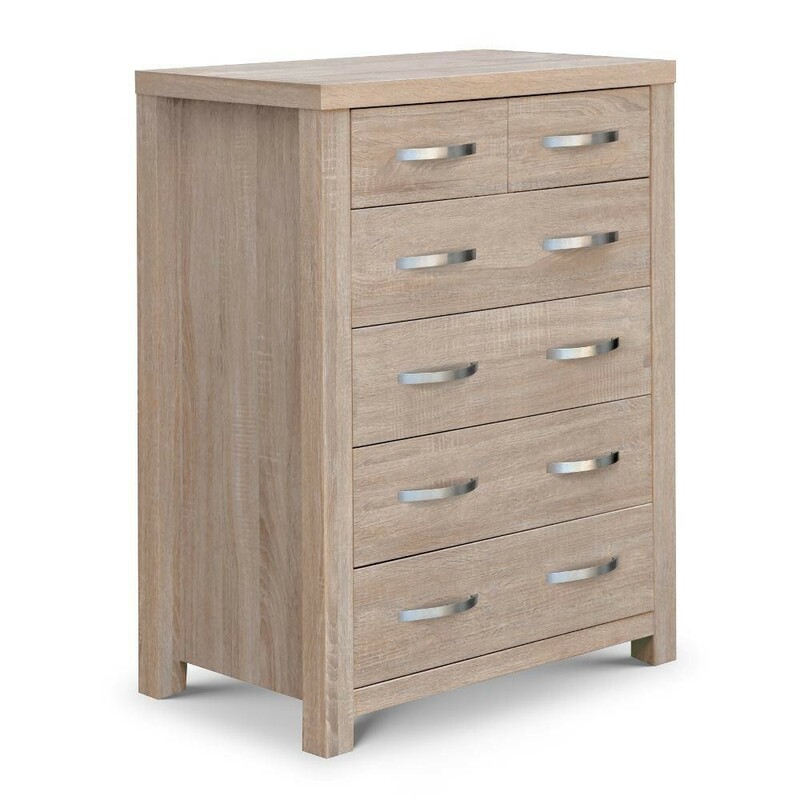 Use the stunning Hamilton 4 + 2 Drawer Chest as a standalone piece of furniture to organise your clothing and other bedroom essentials or combine with other pieces in the beautiful Hamilton bedroom collection.